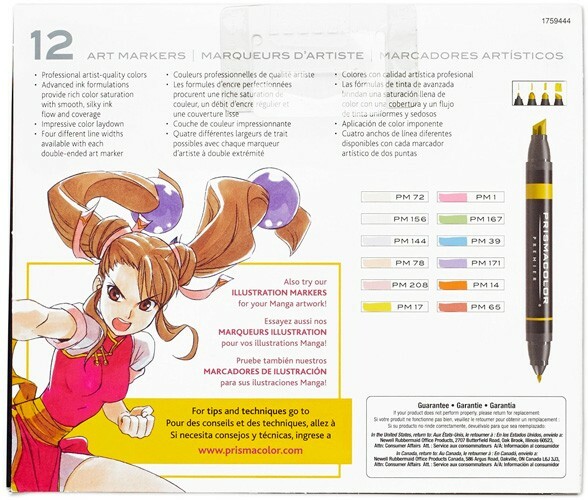 This 12 marker set includes colors specially selected for Manga Art. 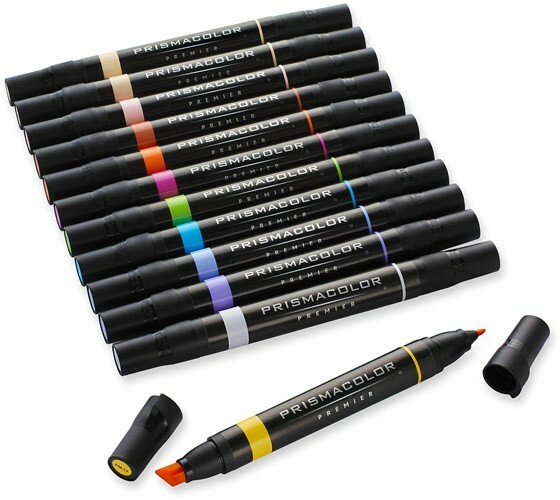 Advanced ink formulations provide rich color saturation with smooth, silky ink flow and coverage, while the chisel tip on one end and fine tip on the other allow for multiple uses. 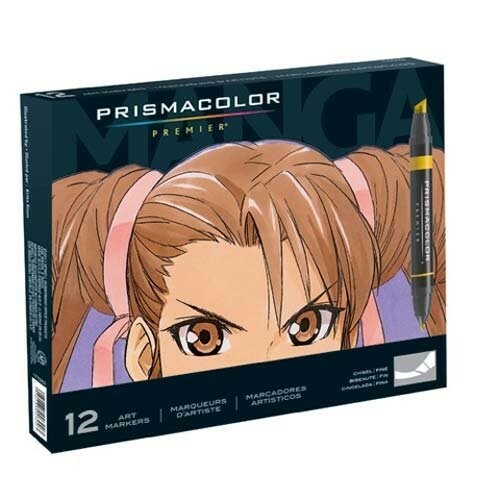 Intended for professional artists and advanced students, the durable tips will not fade or feather. Colors included are: Apple Green, Ballet Pink, Brick Beige, Cloud Blue, Eggshell, French Grey 20%, Lilac, Pale Vermillion, Process Red, Sienna Brown, Sunburst Yellow and True Blue. For more art kits and supplies for Mighty Girls who love to draw and paint, visit our Drawing & Painting section in Arts & Crafts.